So you’re looking for a new family sedan but want something that’s also a blast to drive. Introducing the 2018 Dodge Charger in Tempe, AZ, at Tempe Chrysler Jeep Dodge RAM. With its classic muscle car exterior combined with a surprisingly roomy interior loaded with all the latest tech gadgets, this car will simply take your breath away. And since it’s a four-door, it makes total sense to become your next family car. Whether you’re near Glendale or near Gilbert, AZ, it’s worth the drive to check out our 2018 Dodge Charger inventory near Phoenix, AZ, and test drive this awesome road warrior for yourself. 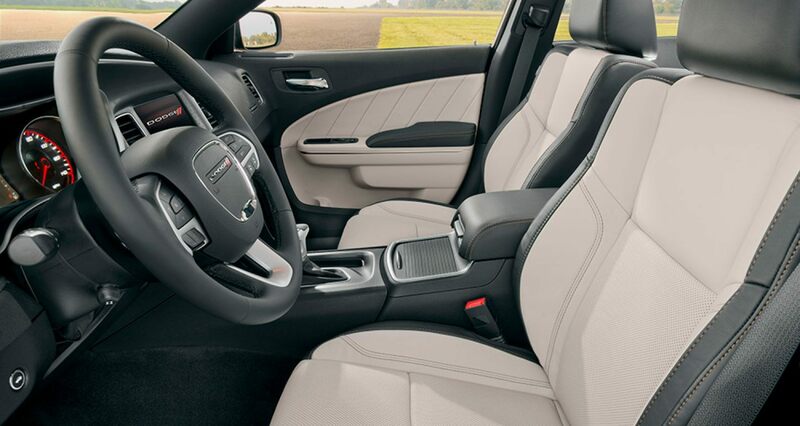 When it comes to sporty interior styling and comfort, the 2018 Dodge Charger has it in spades. Available Alcantara® suede/Nappa leather performance seats, available heated front- and second-row heated seats, an available power eight-way-adjustable driver’s seat, available dual-zone automatic temperature control and a standard 7-inch reconfigurable instrument cluster bring race-inspired design and traditional sedan appointments. Other extras such as an available leather-wrapped performance steering wheel, standard front/rear solar control glass, available steering wheel mounted shift control, an available power sunroof and 16.5 cubic feet of cargo capacity bring you further conveniences. For the latest in technology, there’s integrated voice command with Bluetooth®, ParkSense® rear park assist system with ParkView® rear back up camera, available Uconnect® 4C NAV with 8.4-inch display and available HD Radio®. To keep your music jamming, there’s an available BeatsAudio™ 10-speaker, 552-watt premium audio system that will play your music with crystal clarity. 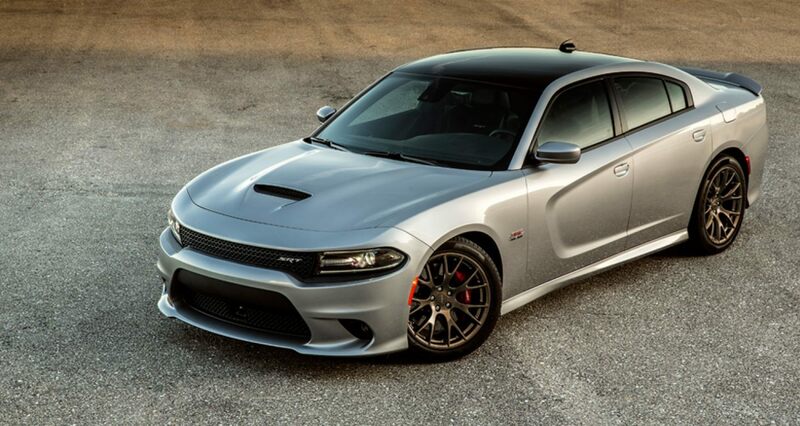 The 2018 Dodge Charger for sale in Tempe, AZ, has a choice of four incredible engines from the conventional to the outrageous. Stock is the very popular 3.6-liter Pentastar® V6 that cranks out 300 horsepower while generating 264 lb.-ft. of torque. Need more oomph? An available 5.7-liter HEMI® V8 churns out 370 horsepower and 395 lb.-ft. of torque, or if you want to get serious about tackling the highways near Phoenix or in Tempe, AZ, there’s the 392 HEMI® V8 that delivers 485 horsepower and 475 lb.-ft. of road gripping torque. Is that still not enough to satisfy your need for speed? Then the Supercharged 6.2-liter HEMI® SRT Hellcat V8 with a whopping 707 horsepower and 650 lb.-ft. of torque should quell that need! Most of these amazing engines are paired with a TorqueFlite® eight-speed automatic transmission and the GT and GT Plus models are available with all-wheel drive. 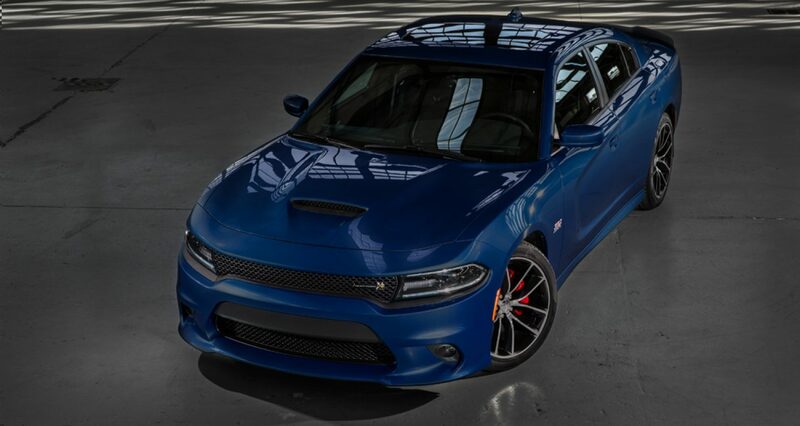 (AWD) Stop by Tempe Chrysler Jeep Dodge RAM and test drive a 2018 Dodge Charger near Phoenix, AZ, and get your adrenaline pumping!